Join us to celebrate the 50th anniversary of the 1968 World Series. 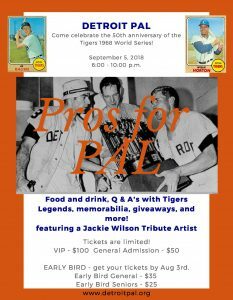 The event will include food, drinks, Q & A with Tigers Legends, Memorabilia Displays, Raffles, Door Prizes, and more! Early Bird tickets are available until August 3rd.